A tree wrapped in blue lights at the Westfield mall in Century City. They looked really cool, but it was pretty difficult to get a good shot with my compact. I brought my gorillapod with me so I was able to shoot hands-free, but my little Canon SD400 had a hard time focusing, so this is one of the few shots that came out sharp. 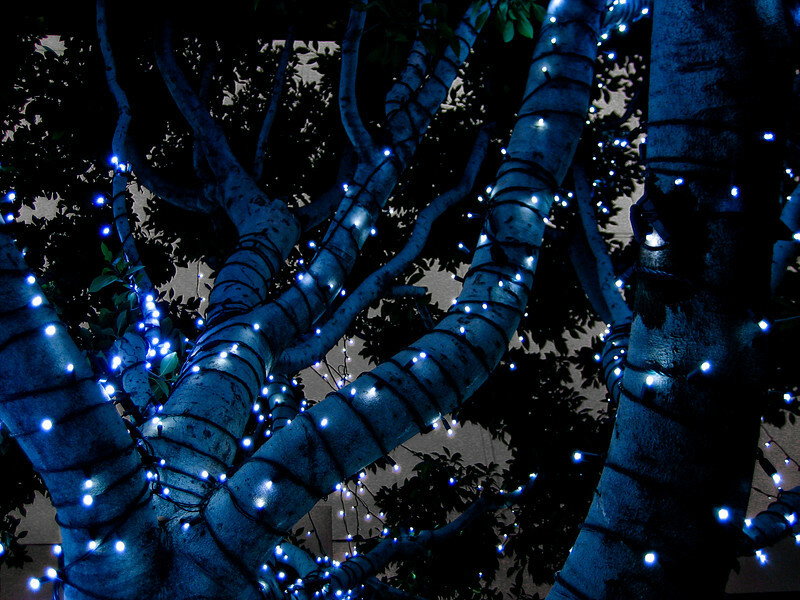 very cool -- it looks a little like faerie lights from a fairy tale. very cool shot. This turned out nice. Great perspective and very nice color.